New Jersey Gov. 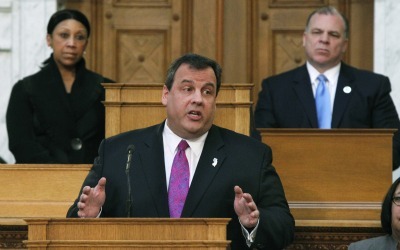 Chris Christie has proposed a phased-in plan over three years that would require employees to pay about a third of health care costs by mid-2014. TRENTON, N.J. (AP) — New Jersey Gov. Chris Christie has long called for state workers to pay more of their health care costs, and now proposes a phased-in plan over three years that would require employees to pay about a third of those costs by mid-2014.